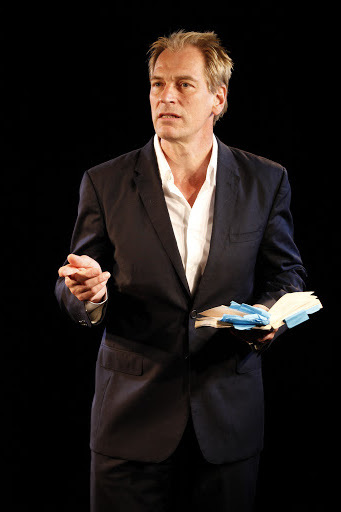 How It’s New York: We’re a literary town, so it feels right to have the playwright Harold Pinter’s poetry on offer, especially by a handsome actor, namely Julian Sands. How It’s Irish: This piece takes place at Irish Repertory Theatre, and we learn among other things that Pinter spent time touring Ireland as an actor in his youth. 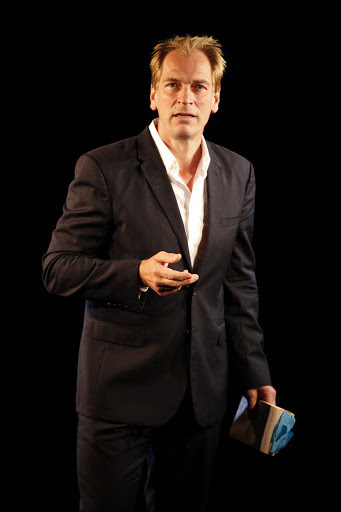 Actor Julian Sands (A Room with a View; The Killing Fields, Warlock) talks to us about the “irascible, passionate great man” and reads his poetry. This show was just extended– it was to close 11/4, but now will run through 11/25. A version of this article was published in Irish Examiner USA. Julian Sands, as large as life and adorable as ever, is the reason to see A Celebration of Harold Pinter, directed by John Malkovich, running at Irish Repertory Theatre downstairs through November 25. In the show, which is really the handsome, humorous Sands declaiming poetry, joking about it and telling us about his encounters with the great English playwright Harold Pinter (1930 -2008), famous for the “pause” in his plays, Sands stands just a few feet away in the tiny W. Scott McLucas Studio Theatre, talking directly to the small audience, with houselights up. Frankly, it’s strange to have someone less than four feet away from you look you in the face and not be able to answer back. At one point Sands made a joke about how nobody in the audience is old enough to remember the 1970s, then looked right at me. I know I look young, but I do (dimly) remember the ’70s. Call me anytime, Julian, I’m single. A Celebration of Harold Pinter is Sands’ attempt to demonstrate that Pinter’s poetry comes from a more personal place than his plays, and should be celebrated as among the best in the English language. To that end, Sands gives us some of the poems – acting them as much as reading them – and talks to us about the irascible, passionate great man. In fact, Sands makes the poems better than they are. Listening between the lines, one hears that Pinter’s poems vacillated between obscure-with-a-touch-of-violence (not unlike his plays, really) and sentimentally tender to his wife, the historian Antonia Fraser. The sentimental ones land better. Poems need not be linear and logical like prose, but if they don’t create a meaning in the ear of the listener, or at least a feeling, they don’t work. Here, they work anyway, because Sands makes them better than they are, acting them so entertainingly and extracting every bit of nuance from them that it just makes you long to see Sands in, well, a play. The poems mystify but Sands’ urgency does not. Sands is self-deprecating and very funny, and it’s rather sweet that he fell so deeply into the playwright’s poems after being tapped to read them at an event, when Pinter was already sick, in 2005. His stories of acting in Pinter plays, and of Pinter’s early career as an actor with the stage name “David Baron” traveling around Ireland, fascinate. One wishes for more of that-especially just a tad more about his romantic marriage to Antonia, whom he fell for instantly. Both were still married to others, a point Sands omits in the love story. The divorces were both messy and bitter, and given that we hear a poem Pinter wrote for Vivien Merchant on her death, the wife he left for Antonia, this would be a very good thing to know. 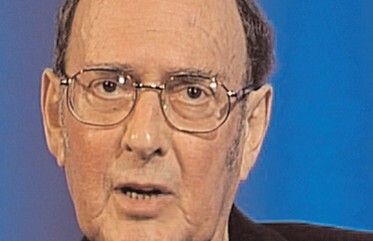 It would also help inform the commentary on Fraser’s book Must You Go?, a memoir about her life with Pinter, which takes its title from his first romantic words to her. Overall, the energy never flags, and Sands does a lot with a few books, some sticky notes, and his own personal charm. Pinter may not have been a great poet, but the poems work well in the theatre, too.